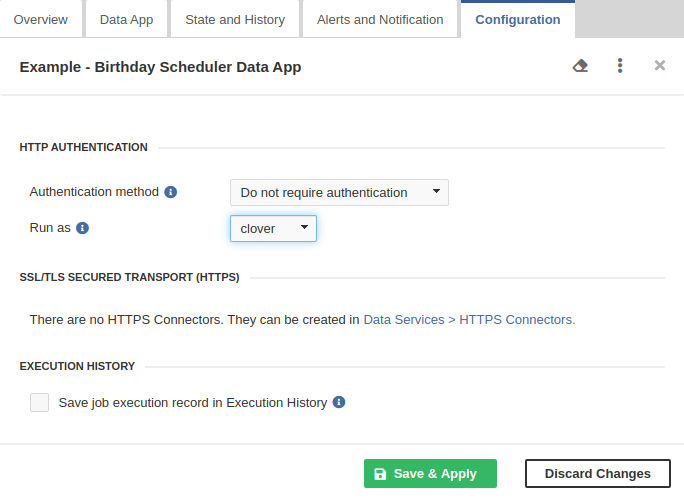 The Configuration tab allows you to disable the endpoint authentication or to enable saving records in Execution History. The Data Service can be configured to require credentials or not. If the Data Service does not require credentials, the user to run it should be set in its configuration with the Run As option.